A leading European bank faces trial in New York later this year after a federal judge found there is sufficient evidence it knew the funds were being used to support a Palestinian terrorist group. U.S. District Judge Dora Irizarry denied French banking giant Credit Lyonnais SA's motion for summary judgment last Thursday, saying "there is a genuine issue" about the bank's behavior with the accounts in question. 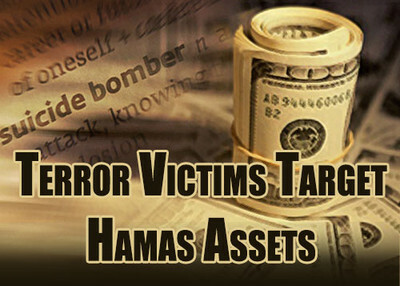 The case has been brought by 200 plaintiffs killed or wounded in more than a dozen Hamas terrorist acts between 2002 and 2004. Credit Lyonnais allowed a Palestinian organization that claimed to be a charity to launder Hamas money used in attacks in Israel in which the plaintiffs and their relatives were victims. Credit Lyonnais is the first of three major international banks facing similar lawsuits in American courts; the others are the Arab Bank, one of the leading banks in the Middle East, and the major British banking giant, NatWest. If a jury finds the bank liable, the case could have massive repercussions across the world. "This is a ground breaking decision for a New York court because we had the UBS case and another case against Arab Bank when the court said 'No. You still have to prove that the bank had the same goals as the terror organization,'" said Nitsana Darshan-Leitner, director of the Israel-based Shurat HaDin (Israel Law Center). The group represents hundreds of terror victims in lawsuits throughout the world. "Now, here is a court that says it is enough to prove liability if [the banks] are giving money to a terror organization." As a result, banks will have to be more careful to ensure their accounts don't wind up helping terrorist groups or charities that serve them, Darshan-Leitner said. "Credit Lyonnais facilitated an account to CBSP; not directly to Hamas, but to a charity that funds Hamas. [The summary judgment] says that CBSP is designated because they fund Hamas, therefore no bank operating in the U.S. is allowed to give financial services to CBSP or to any designated charity or terror organization. It is a kind of a shockwave to the international banking system." The U.S. Antiterrorism Act of 1992 opened the door for lawsuits by terror victims against foreign entities, and U.S. criminal code makes it illegal for anyone to "knowingly provide material support or resources to a foreign terrorist organization." In her ruling, Irizarry noted that the French bank had its own suspicions about the (CBSP) Comite de Bienfaisance et de Secour aux Palestinien (Committee for Palestinian Welfare and Relief) as far back as 1997. The committee represented 13 supposedly charitable groups but is alleged in the suit to be a front for directing funds to the Gaza-based Hamas terror organization. "A reasonable jury could conclude that the sizable amount of money sent from Defendant to Hamas front organizations was a substantial reason that Hamas was able to perpetrate the terrorist attacks at issue," Irizarry wrote. Israel declared the CBSP a terrorist financing group in 1997 and the U.S. Treasury designated it a terrorist group in 2003. Also in 2003, the Australian government froze the CBSP's assets along with the assets of six Hamas leaders. Surprisingly, the CBSP is still a lawfully registered charity in France. Of the 14 attacks at issue in the pending trial, eight were suicide bombings, including five bus bombings. Also included: The notorious March 2002 Park Hotel bombing during a Passover Seder in Netanya that killed 30 people; the July 2002 bombing of the popular Frank Sinatra Cafe at the Hebrew University in Jerusalem that killed seven; the April 2003 suicide attack on the Tel Aviv bar "Mike's Place," carried out by a British Muslim, which killed three; and the Cafe Hillel bombing in Jerusalem in September 2003 that killed seven. More than 140 people were murdered in the 14 attacks and many hundreds more injured. "This has been a very long and drawn out process," plaintiff's attorney Gary Osen told the Investigative Project on Terrorism. "The case was filed at the end of 2005 and we're into March 2013. I don't think any of us view this as vindication as such. We view it as an important critical turning point in the process, but to paraphrase Churchill, "not the beginning of the end, rather the end of the beginning." A trial date will be determined in future hearings, but is expected to be scheduled for the fall. The record already shows that French authorities looked into the allegations against Credit Lyonnais for five years starting in 2003. Significantly, a 2005 letter written by then-Minister of Interior Nicholas Sarkozy – later to become French president – to the director of the Wiesenthal Center in Paris, acknowledged CBSP's connection with Hamas: "Some of the Palestinian organizations the CBSP works with are affiliated with the Hamas movement, which is on the European list of terrorist organizations" the letter stated. Sarkozy's concerns failed to convince the French police, however, and no charges were brought. This, despite evidence demonstrating that the bank's Financial Security Unit had been alerted to suspicious activity as early as 1997. A file was opened on the account in January 2001, as a result of staff suspicions of money laundering. This followed a discovery by the official in charge of the account that there were "large and unexplained increases in the number and amounts of deposits into CBSP's main account coming from sources he was unable to identify," Irizzary wrote. The bank's suspicions grew so strong that it decided to terminate CBSP's account in September 2002, but "gave an extension of time [for CBSP] to establish a relationship with another bank." At this point it appears that CBSP, an organization that supplies funds to 13 different Palestinian organizations with apparently clear links to Hamas, including Al-Mujama al-Islami-Gaza (the Islamic Center-Gaza); Al- Jam'iya al-Islamiya-Gaza (the Islamic Society-Gaza); Jam'iyat al-Salah al-Islamiya-Gaza (Al-Salah Islamic Association-Gaza); and the Jam'iyat al-Wafa al-Khiriya-Gaza (Al-Wafa Charitable Society-Gaza), decided to exert pressure on Credit Lyonnais. "We would like to spare you the bad publicity," CBSP's president wrote in a Dec. 31, 2002 letter to Credit Lyonnais. An April 2003 communiqué from CBSP's attorney raised the question of "religious discrimination" for closing the accounts. Threats of public relations campaigns "play a factor in the way that some of the defendants consider their risk management analysis," Osen said. But that doesn't change the reality of the CBSP's connections. "Ultimately it is not a legal, or in our view a factually debatable question that Al Mujama al-Islami is Hamas," Osen said. "It was founded by Sheik Yassin, [then spiritual leader of Hamas], and board members include founding members of Hamas, so I don't think there are a lot of people in this world who could say with a straight face that these organizations are not affiliated with Hamas." The Credit Lyonnais litigation is an example of how many banks – particularly those in the United Kingdom and Europe – appear to have failed to take financial oversight of their clients' accounts seriously, or which have been prepared to flirt with the boundaries of legality in order to make money. Knowing the burden of proof in the UK and Europe is different from the United States, they allegedly continued to house suspicious accounts with seeming indifference to the on-the-ground consequences of their actions. "I can't tell you definitively how this will affect the calculus going forward," Osen told the IPT. "I will say that over the years at least non-U.S. financial institutions have taken a very indifferent view of the consequences of violating U.S. criminal law. The British banks - Lloyds TSB and Standard Chartered - have entered into deferred prosecution agreements for laundering hundreds of millions of dollars for Iran. As a general proposition, the culture of these institutions is either to disregard US law or actively hold it in contempt. I'm not sure that this case alone is going to alter that culture, but you have to start somewhere." One victim of the terrorist acts in the Credit Lyonnais case is 55-year-old Jacob Steinmetz. He was driving with his wife and two passengers on Route 60 near Ofra in Israel's northern West Bank in January 2003 when two men posing as hitchhikers opened fire on his car, hitting it with 18 shots. "I was very, very happy to hear that things are continuing on" with the lawsuit, Steinmetz told the IPT. "In my case it was simple. Not only did we see that they [the terrorists] were Hamas when we were attacked, they were later imprisoned as Hamas and, I'm sorry to say released as part of the Hamas/Shalit [prisoner exchange] deal [of 2011]." Steinmetz, originally of New York, was shot twice, in the elbow and the leg. "I had five operations and I have an artificial elbow; I don't have full use of my arm," he said. An 8-year-old passenger was shot in the back, the bullet narrowly missing his spine. Regardless of the lawsuit's ultimate outcome, Steinmetz believes "it has already caused a change in banks across the world in the way they transfer money. Now this is even better. Most people are peace loving and good people and they should all be happy with this." "They [Credit Lyonnais] knew what they were doing and they should definitely be punished very hard for what they did," Steinmetz said. Making financial contributions to seemingly deserving causes that describe themselves as charities but in essence are siphoning funds from often innocent contributors to violent terror groups, many people are unwittingly fuelling the flames that provide ongoing support to organizations such as Hamas and other radical Islamist groups. "I think that in much of Europe and other corners – including corners of the U.S. pro-active mindset – there's a sense that sending money or raising money for Al Mujama Al-Jamiya or similar organizations is harmless and contributes only to their religious and social outreach," Osen said. "One need not scratch very far beneath the surface to see what kind of world these institutions are building, whether it's their kindergarten graduation where they dress their five-year-olds as suicide bombers, indoctrinating their students in lower grades schools with the idea that death and martyrdom is the ultimate ideal, or that their neighbors are the descendants of pigs and monkeys; all things needed to both dehumanize their enemy as well as humanize themselves." "I think there is a tremendous naiveté about what we are dealing with" Osen added, "and I think it extends to when you hear European officials refer to the Muslim Brotherhood as a moderate Islamist organization. The question that has to be asked is, 'Relative to what?'" First of all the banks know darn well who the money is going to. It is not an inadvertant situation. It is pure and simple greed. My question then is: what about banks knowingly handeling drug cartel monies? Our government knows what banks are doing this and fail to act. They should go after this money also. The cartels are terrorists in no uncertain terms. How will this potential lawsuit victory impact on US Banks that handled the accounts of NORAID in the mid-80's onwards, when its monies were being used by the IRA? Just another money grabbing exercise, that ignore the "democratic" USAs terrorist activities. By this logic can the Palestinians now sure the Irgun for their terrorist attacks in the 1930s? Ok, if a bank that has clients who are connected to a terrorist organization is found liable for he organizations behavior then shouldn't a country/organization that funds the bulk of United States debt that conducts terrorist acts conveniently labeled as human rights violations also be liable for funding what amounts to terrorism? When the lawyers open up this pandoras box what will happen to the US and its relationship to their current loan sharks, China? What a mess this will become if the New York courts find the banks guilty of inadvertently supporting terrorism!